(Wild Records) 13 Tracks - Digisleeve - The debut album of these jumpin blues guys from Nashville on Hollywood's renowned Wild Records label! 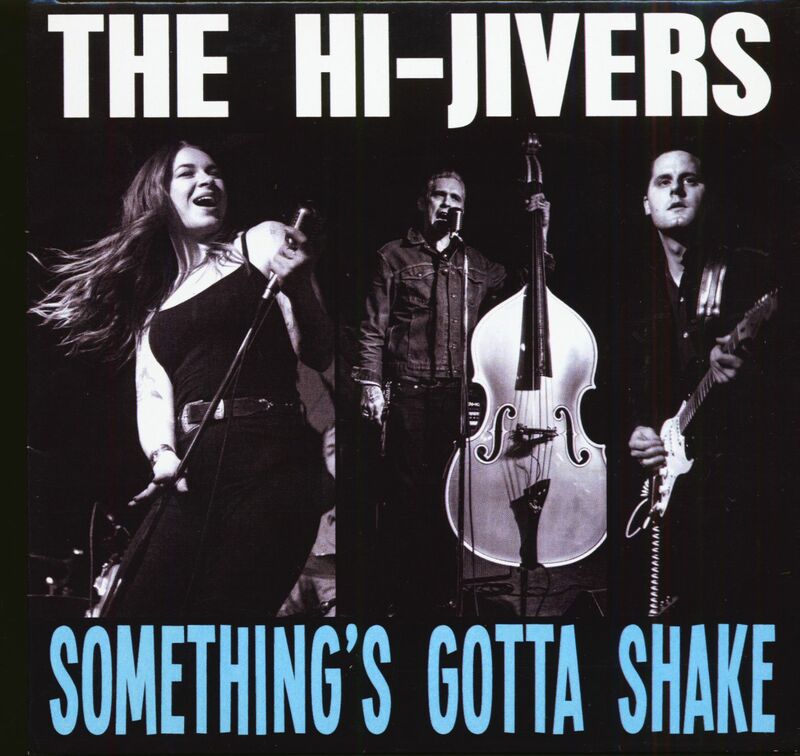 The Hi-Jivers is a blues boppin' band from Nashville, Tennessee. 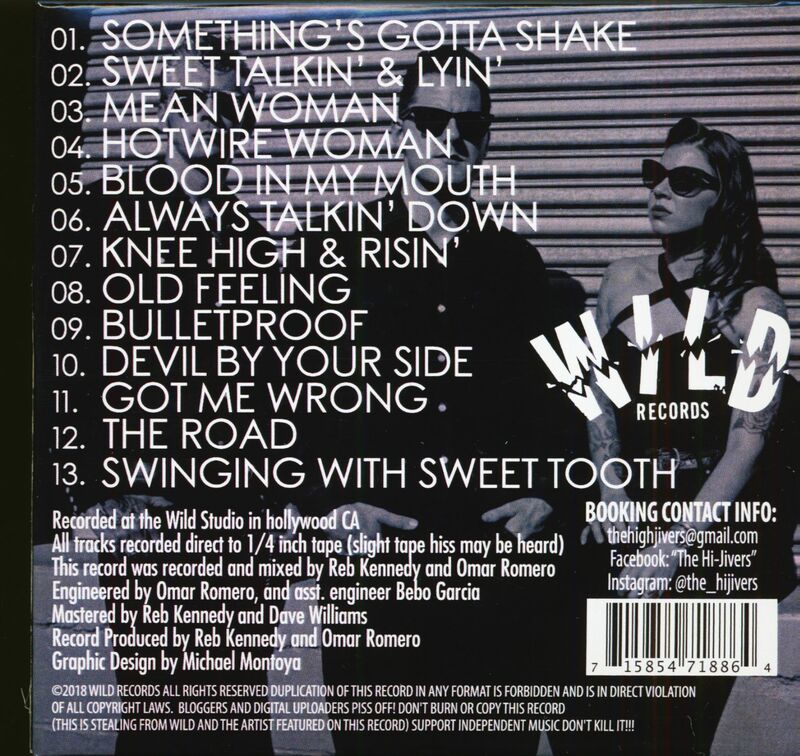 They sound somewhat like rough ridin' down home blues and rockabilly with a slice of R&B-soul. In September 2014, Austin John of the Austin John Band moved to Nashville, TN with his girlfriend Dawna Zahn to pursue their music career. The Austin John Band made a tremendous impact on the blues scene in Syracuse, quickly gaining fans where ever they went. Auburn, NY native Dawna Zahn had spent the last few years singing in the rock n' roll, blues and honky tonk band Silver Queen Casket Company, which Austin joined in late 2014. Dawna's unique vocal style developed through her love of the raw, swampy sounds of early blues and rock n' roll. Bassist Hank Miles is from Seattle. Some of his former bands include Redneck Girlfriend, Go Like Hell, and Shivering Denizens. After rambling off influences such as Howlin' Wolf, Etta James, Bo Diddley, Big Maybelle, Wynonie Harris, and Nick Curran, the group decided to form an early Rhythm & Blues, Rock'n'Roll combo... And thus, the Hi-Jivers were born in February 2015. Debut album 'Something's Gotta Shake' on Wild Records in 2018. Customer evaluation for "Something's Gotta Shake (CD)"